Luxury buildings with modern amenities, set in perfect locations can be found in any modern city you'd care to name, but at Benham and Reeves, we know what makes London special. For a property to reach the levels of desirability achieved by such addresses as One Hyde Park there has got to be more to it than just gold taps, granite work tops and great views. Hyde Park used to be Henry VIII's personal hunting ground. Karl Marx and Sigmund Freud looked over Hampstead Heath while planning to change the world. The Docklands district defied Nazi bombs. The Beatles are forever linked to Abbey Road in NW8. Our city is steeped in heritage, permanence and fascinating stories with almost every area having its own tale to tell. London is also a truly international city and anyone doing business here has to be ready to cross new frontiers on a daily basis. 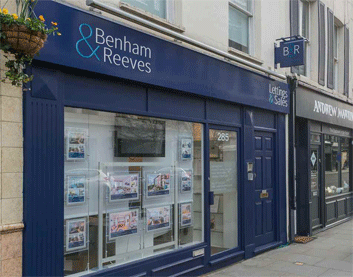 From liaising with first-time-buyers to advising overseas property investors where to buy for best rental investment, Benham and Reeves continues to build on sixty years of working at the heart of the London property market with a hard-working reputation and professional assurances that one would expect from a leading estate agent. There is nothing "thrown together" about our presence in the Capital. All our London branches have been sited strategically, over the years, to provide the best accommodation the area they are located in has to offer. Seventeen branches are complemented by five international offices in China, Hong Kong, India, Malaysia and Singapore, providing an exceptional reach, scope and focus. With Benham and Reeves, giving the best customer service we can is more than a slogan: it is an historical reality many of our long-standing buyers and landlord clients have come to value. When it comes to structure, you will find us as reassuringly solid as the properties we advertise, which befits a company with long associations within the London property scene. A highly qualified lawyer heads up our property management division, while all the financials are overseen by three charterered accountants - a traditional arrangement which suits our clients perfectly. We are in the habit of retaining and training our staff so as to provide an experienced and capable service to clients who value local knowledge and continuity. ARLA Propertymark (The Association of Residential Letting Agents) is a membership body that keeps a keen eye on the ethics and financial practices of our industry and we count it part of our proud heritage that we are founder members. Most of lettings staff are ARLA trained or are in the process of taking exams as part of our regular professional development programme, thereby ensuring that standards throughout the company remain high. 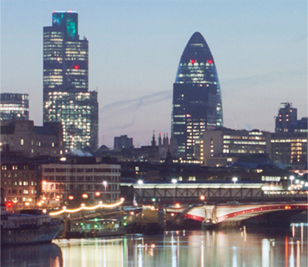 Property-wise, we endeavour to present to our clients the very best that London has to offer. Neighbourhoods containing hundreds of years of iconic architecture serve as our reference point. A sixty year track record in property investment and lettings has not gone unnoticed by the many multinational corporations that consider London a vital part of their global presence. Leading relocation agents consider us an important resource in their quest to find the best accommodation possible for their corporate executives. Reliability and the willingness to adapt to changing trends are key ingredients in what we like to call the "fine art" of property management . Owing to our steady history our property management service has been able to grow organically alongside the lettings business and is all the more effective for it. From comprehensive knowledge of the law and industry standards to tax advice and our own online client accounts system, we provide a wide range of services from under one roof. We also offer a furnishings service with furnishing packages specially designed for rental properties which is a particular source of pride as it gives us opportunities to collaborate with clients in a variety of creative ways. Our refurbishment service is also popular with homeowners looking to update their new home before they move in and equally important to investors looking to keep their rental property fully up to date. All staff are employed ranging from builders and electricians to plumbers and specialist decorators and the work is of course, guaranteed. Our end-to-end property service draws upon a legacy of skill sets that are ideal for doing business in an historical city such as London. If you are looking to invest in a London property, contact or email us with your requirements.